Yesterday on my outing to Trader Joes (which I talked about here) I stopped to look at all of the wonderful cut flowers they always have. So many to choose from, and yet none of them were really speaking to me. I wanted spring. And then I spotted these. 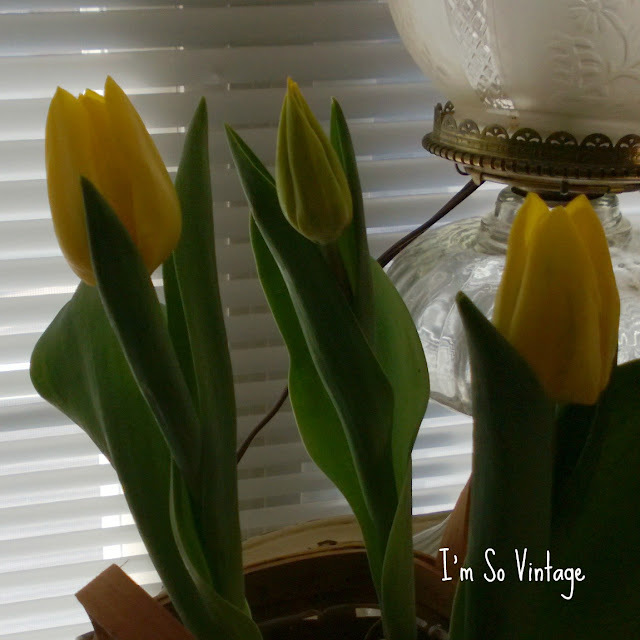 A small pot of the sweetest little yellow tulips. My heart started to sing. So I brought them home, found a small basket to put them in and set them on the table next to the window in my bedroom. Ahhhhh!!! 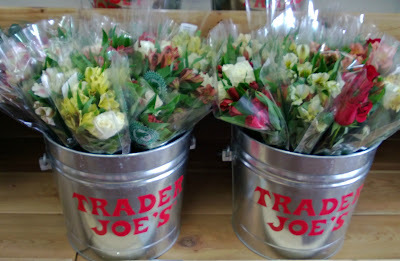 the perfect touch of spring, and all at the fabulous low Trader Joes price of $2.99. To top it off, I was looking out through the rain this morning and noticed the bushes behind my house are starting to leaf out, and even though we are expecting more snow tonight, I know that spring is definitely on the way. I LOVE Trader Joe's. Wish I could convince them to move closer to where I live. Have to drive an hour to get there. Super great price. No Trader Joe's here though. If we look for it, we shall find it...spring that is. Pretty and colorful tulips. You added sunshine to the Longeberger and our lives as well! Nothings better than having fresh flowers here and there!! Lovely yellow tulips!! I love tulips and nothing says Spring to me more! Sweet!! Tulips are my very favorite and other than white, yellow is my next favorite!! Enjoy! 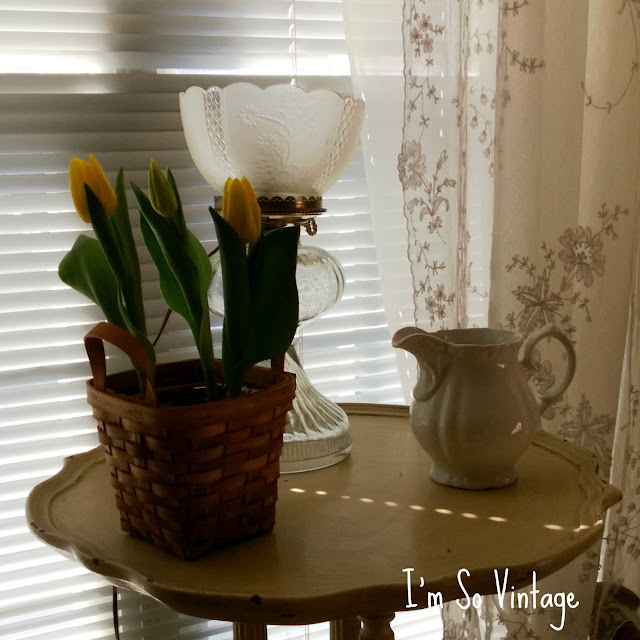 Tulips are a beautiful touch of spring! I was just wishing I had some fresh flowers in the house, too. 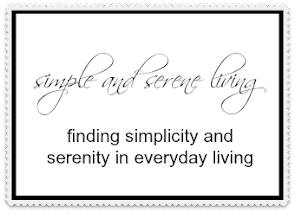 Heading to WallyWorld in a few, so I'll have to see what I can find. I made a Trader Joe's run myself yesterday to stock up on things to take back to Germany with me Friday. I love the nuts, dried fruits and steel cut oats. Sure glad to hear that you are feeling stronger every day and able to get out and about! I'm so glad you got to get out and go shopping! These are beautiful and brighten your home! The sunshine is brightening mine today! Feels good! I love tulips! They were the perfect pick for Spring! Tulips are a sure sign of Spring!! What a bargain! It is on its way! Even though we are getting some snow! That's definitely what I need after going outdoors tonight and seeing even MORE SNOW. It seems like we've been abandoned on this Arctic plain or something. (not really, just a little overwhelmed by all the white out there). The fresh flowers would cheer up anyone! Lovely on your table. Trader Joe's does have a great assortment of flowers. Yours look so pretty. I'm sure they cheer you up when you look at them. I'm looking forward to being able to plant flowers on my front porch in the next month or so if Spring will EVER get here! LOL! Love the bunches of flowers. Makes me hope for dry and warmer days. What a beautiful tableau. Welcome to spring! Yellow is my favorite color. Tulips are wonderful. The price is fabulous!